Ever wanted to learn how to make decorated sugar cookies? This is the perfect beginner class that will share tips, tricks, techniques for the perfect flooded cookie, no matter what your decorating skill level is. 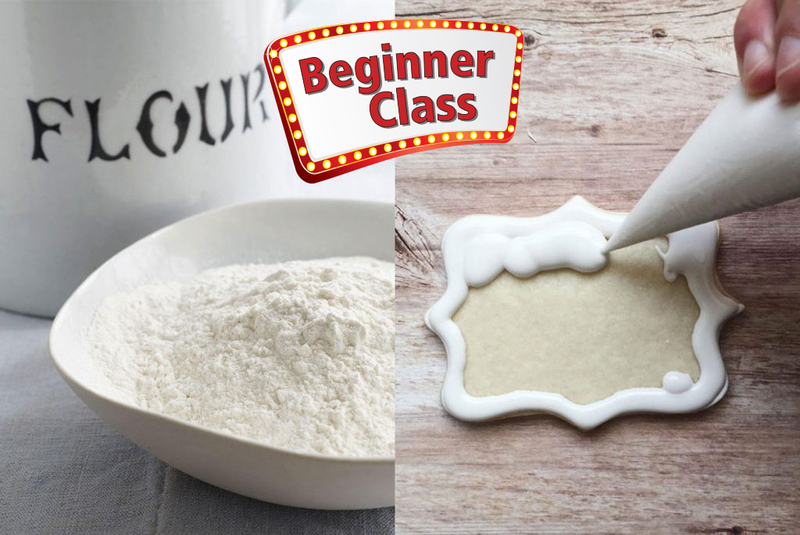 Learn dough mixing tips and tricks for no spread cookies to Royal Icing or glaze, including flooding consistency and techniques for the perfectly flooded cookie. Each student will then flood 6 cookies using 3 different flood methods. All supplies are included in this class. Class is perfect for beginners. Hi I am Tammy Colitti , the designing face behind 2T's Stencils.I started making decorated sugar cookies more than 10 years ago for family and friends.The creative side of me started designing stencils to make little cookies into pieces of art and take a simple cookies and transform them into simply stunning works of sugar art. Come join me as I share with you some of the tips and tricks I have learned along the way to make decorating sugar cookies. I love to share how I work smarter not harder to achieve quality baked cookies with beautiful finished designs that go from flour to fabulous with some quick and simple steps using minimal tools and equipment.